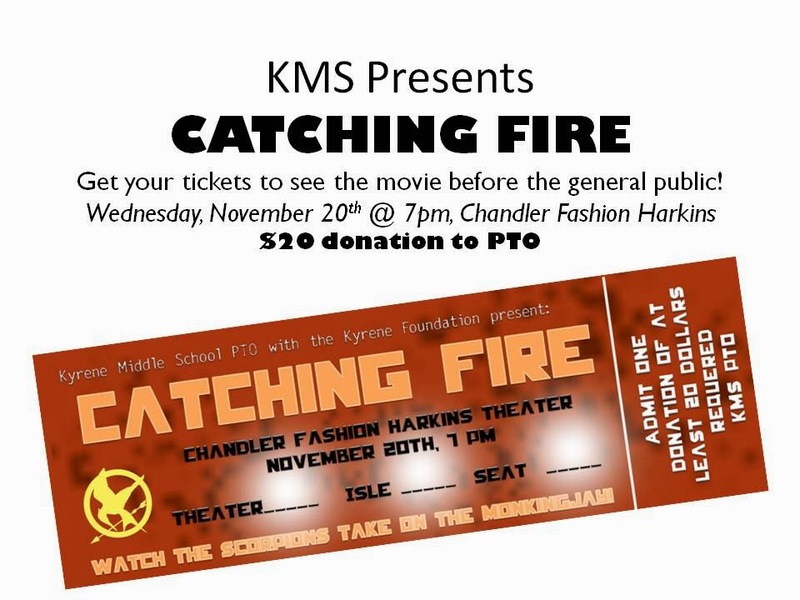 KMS PTO: Exciting Catching Fire News! The KMS PTO has secured 2 theaters for the premiere of the new Hunger Games movie "Catching Fire". We are thrilled to be able to offer this experience to our students and their families/friends. Tickets will be, hopefully, for sale at Harvest Festival. Please share this info with your friends and family as this is a fundraiser to continue all the great programs here at KMS.